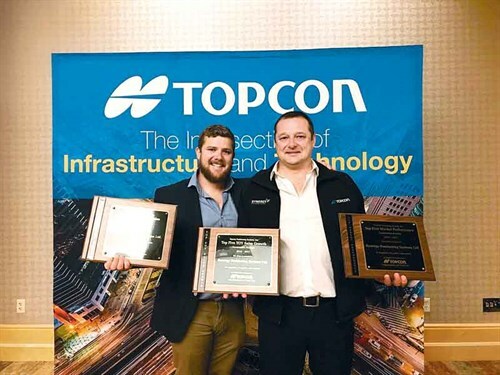 New Zealand’s Topcon spatial technology and machine control system distributor, Synergy Positioning Systems, received international recognition at the beginning of December, with several awards won at the international Topcon Xperience conference in Phoenix, Arizona. The Synergy Positioning Systems team came away with an armload of silverware, including recognition of a top five global sales result for excavator machine control sales, a top five global performance award for construction market sales and, most notably, a top five year-on-year sales growth award, signifying Synergy’s increasing footprint in the competitive construction sector not only here, but internationally. "We are really punching above our weight in the New Zealand market," says Synergy’s general manager of marketing and sales, Louie Schutte. "Given the scale of the global industry and the fact that Topcon plays in almost every market, achieving a top five placing for year-on-year sales growth here in New Zealand is a real achievement. 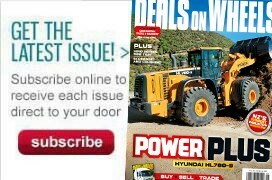 "We’re really proud of the sales and support personnel we have here. I think our success is a result of being able to get out into the field and really prove just how good Topcon’s technological offering is for operators of all shapes and sizes." With Topcon’s increasing dominance in the machine control market, Synergy Positioning Systems has ramped up its national coverage in recent months and now offers dedicated support technicians covering every region. "As the popularity of Topcon’s product suite has grown, this has been a necessary step for us," explains Louie. "So much of the construction focus in the last few years has revolved around Auckland and Christchurch. But there are big projects coming online in other regions – most notably in the lower North Island – so we need to offer our customers that same level of focus, regardless of where they are. "We’ve also seen a big upswing in smaller companies adopting leading-edge machine control technology from Topcon. These guys have made the move to invest in this technology, so we need to offer them the same level of comprehensive back-up support that the bigger entities demand." Additional to the overall achievements, Synergy’s Wellington region representative, Sam Rye, took home the Coffee for Closers award, celebrating international recognition of significant sales successes in his region.